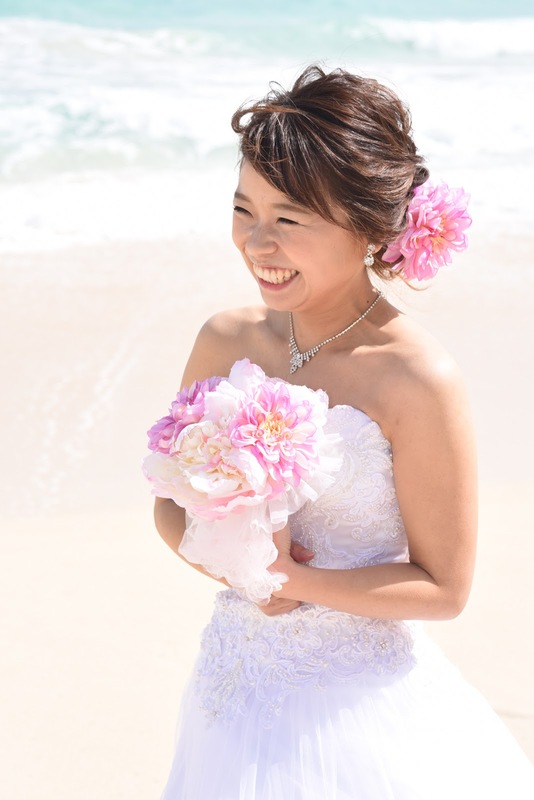 Sweet smile of Japanese Bride Chizuru. Waimanalo Bay is visible behind the tree line in East Oahu. 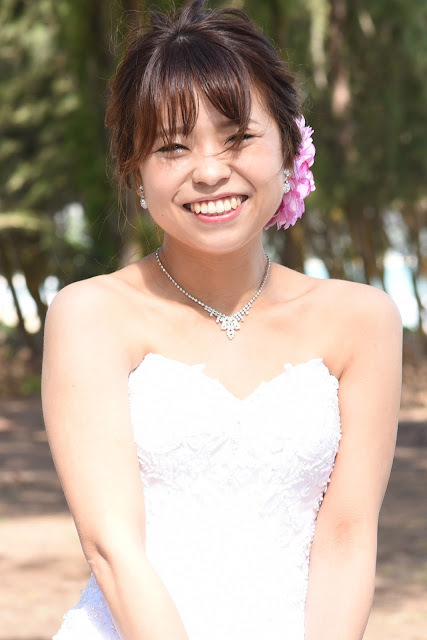 Lovely Bride's wedding dress! Fine choice!